To help you out with your online Blackjack play, here are the rules of Basic Blackjack Strategy, presented in a common sense way. Plus, just below the following lists there are more strategies on blackjack. Go ahead and print them and keep the copy with you when you play. You may want to make sure you are playing correctly. It's ok here to have a “cheat sheet”. Hit until 17 or more if the dealer shows 7, 8, 9, 10 or Ace. Hit if you have an Ace and 7 or less and the dealer shows Ace, 9 or 10. Hit if you have an Ace and 6 if the dealer shows 7 or more. Split 9 unless the dealer shows 7, Ace, or 10. Split 7 unless the dealer shows 8 or more. Split 6 unless the dealer shows 7 or more. Split 4 if the dealer shows 5 or 6. Split 2 or 3 if the dealer shows less than 8. Double when you have 11. Double 10 unless the dealer shows an Ace or 10. Double 9 unless the dealer shows more than 6. Double Ace and 7 or 6 unless the dealer shows more than 6. Double Ace and 5 or 4 if the dealer shows 4, 5 or 6. Double Ace and 3 or 2 if the dealer shows 5 or 6. Surrender hard 16 (but not 8-8) vs. 9, 10, ace. Surrender hard 15 vs. 10, ace. 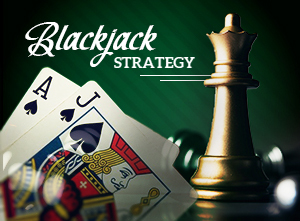 Select from the following blackjack strategy lists to learn what to do in each situation.